Fatgirl Hedonist: Blue Collar Restaurant Brings Good Ol American Comfort Food to the MiMo district. Blue Collar Restaurant Brings Good Ol American Comfort Food to the MiMo district. Blue Collar is one of the handful of restaurants popping up in the blossoming MiMo district on Biscayne Blvd. This tiny restaurant attached to a SUPER classy (not) motel is offering up good ol’ comfort food with a couple of Miami twists. The restaurant sits about 25-30 people with room for a few more outside (when the weather cooperates). The walls are painted a soft blue and old fashioned lunchboxes adorn one of the walls. The décor is simple yet welcoming. 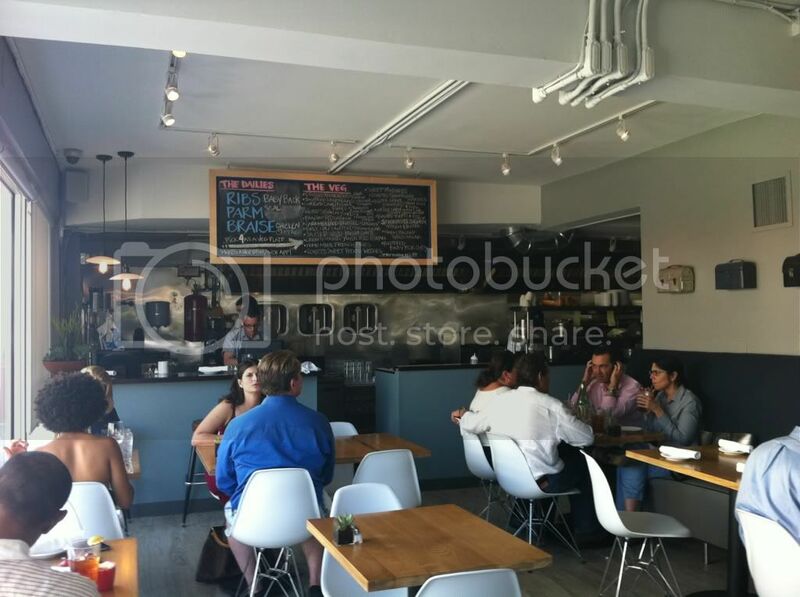 The exposed and open kitchen allows for Chef Daniel Serfer to talk/shout to his guests and ask how’s it going. I’ve been to this restaurant a few times already and have yet to find an utterly disappointing dish. First up, I’ll cover the appetizers I’ve had so far. On one of my first visits, I inhaled their Mac and Cheese. 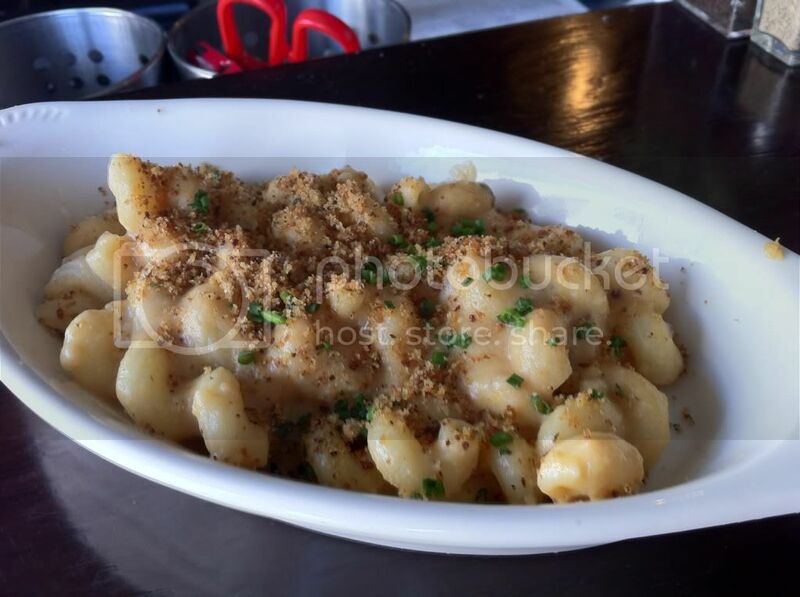 It’s Cavatappi pasta (large and curly) smothered in three types of cheeses, trugole, cheddar, and parmesan cheese then topped with crispy bread crumbs. It is well seasoned and perfectly creamy. Definitely not enough to share if you love mac and cheese as much as I do; so if anyone wants a bite tell them to get their own. 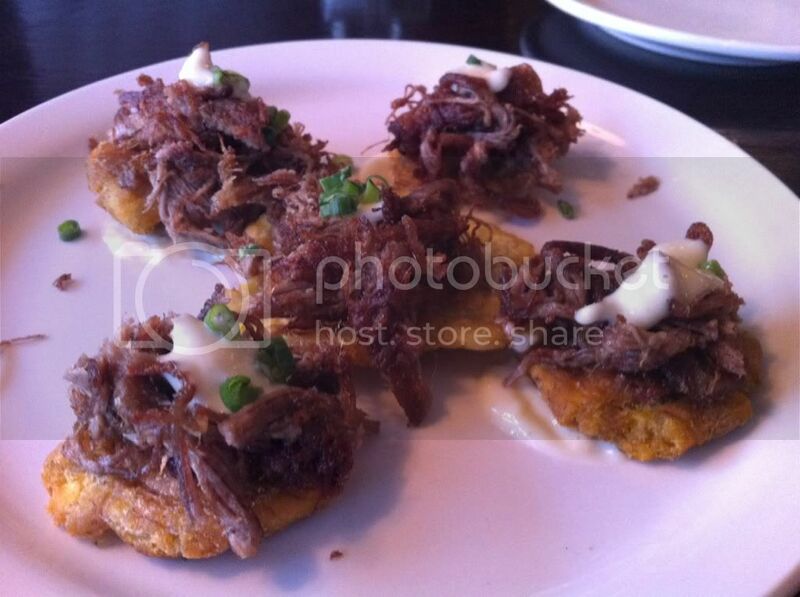 The other appetizer I’ve tried is their Vaca Frita Tostones. Being in Miami, they had to do something Cuban related and man do they do this well. The flank steak is perfectly cooked and seasoned with orange mojo then delicately placed over a fresh toston. The app is then finished off with aioli and a sprinkling of chives. For a gringo, Chef Daniel really did these tostones and vaca frita justice. They’re delicious and they’d have you think they were cooked by an abuelita in Hialeah. Up next I’ve had their cheeseburger. I’m no Burger Beast, but I can tell you this thing is delicious. It’s simple with no fancy frills, yet great none the less. 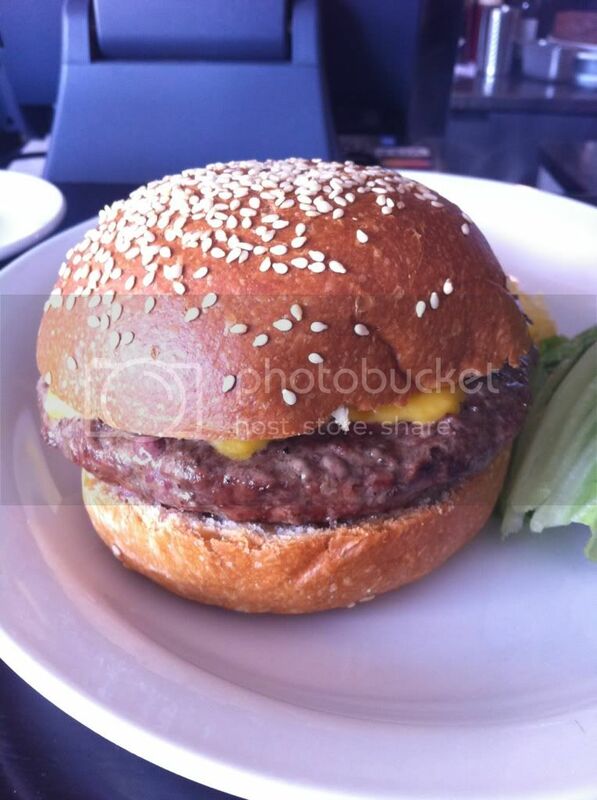 Served on a fresh baked sesame seed bun, the burger is topped with 2 slices of cheese, lettuce, tomato and onion. I keep my burger plain and toss the lettuce, tomato and onion to the side. The bun is warm and slightly flaky. The meat is juicy and ridiculously flavorful; so good I didn’t even need to add any ketchup or condiments. 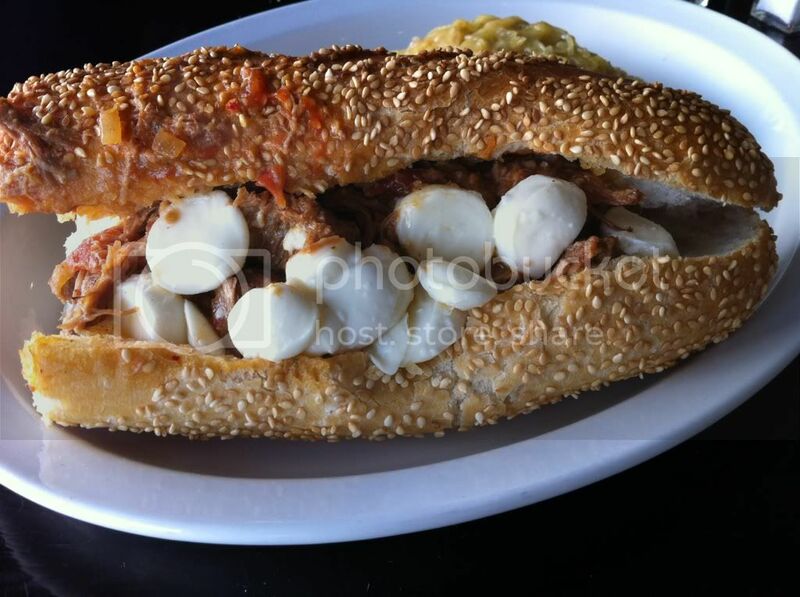 I’ve also had their Big Ragout Sandwich. 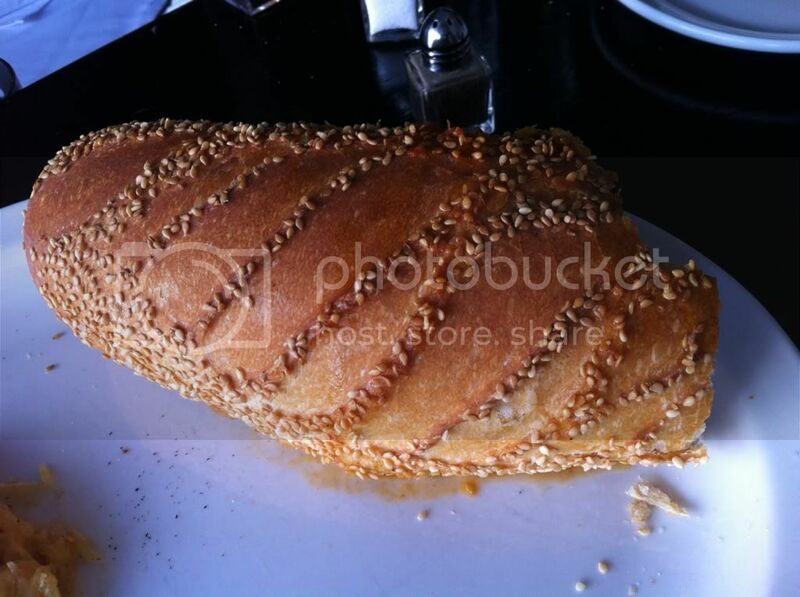 This sandwich is enormous and can easily be split between two people. 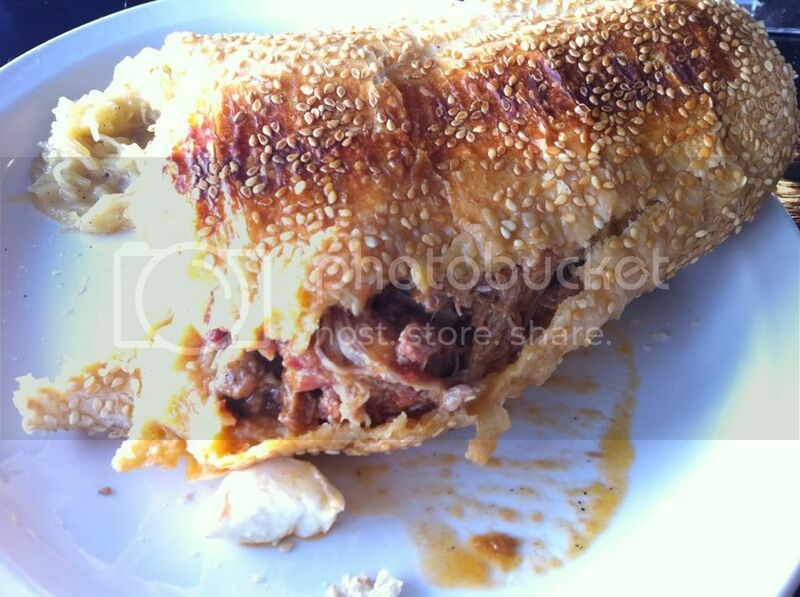 The sandwich starts off with a hollowed out, freshly baked hoagie roll and then it’s filled with pork and veal shoulder, and brisket. The meat has been cooked in a delicious tomato based sauce (think of an Italian-esque ropa vieja) and then topped with a ton of tiny fresh mozzarella balls. As filling and tasty as this sandwich is, proceed with caution, all that ragout juice will cause your sandwich to split and get real messy real fast. Their sandwiches come with a side of fries or mixed greens, but if you ask nicely you can get a side off their veggie chalkboard. I typically go with their spaghetti squash that’s been cooked with parmesan cheese, a hint of lemon and butter. 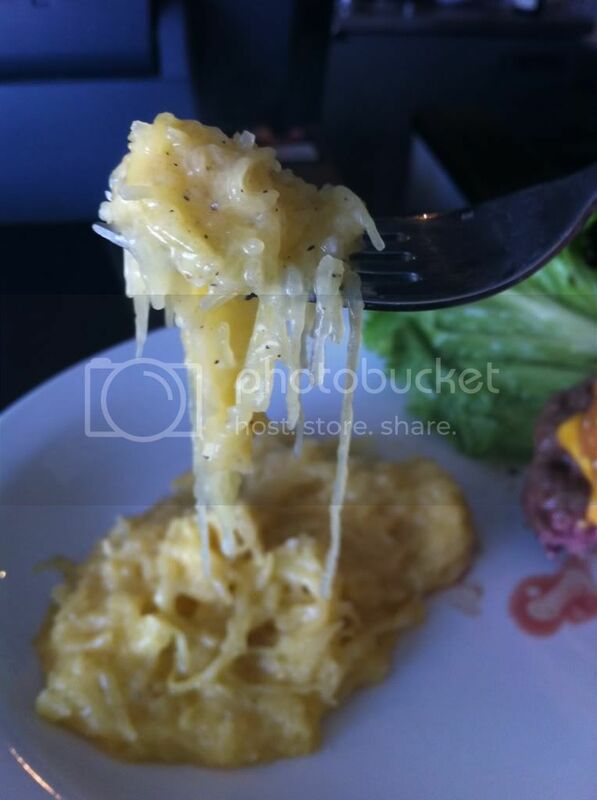 It’s perfectly creamy in my opinion and fun to eat since it looks just like angel hair pasta. It’s not often that I say this, but I really enjoy the vegetables at Blue Collar. People that know me personally know that I don’t eat vegetables or “rabbit food” as I normally refer to it. Naturally, Blue Collar’s vegetable line up involves a lot of veggies sautéed in butter, or bacon and smothered with cheese (why else would I be caught dead eating them?!). You can order any one side of veggies for $4 or you can get a vegetable plate (four veggie sides) for $14. This place offers about 20 different types of veggies, including potatoes cooked a few different ways, it’s very vegetarian friendly and tasty. 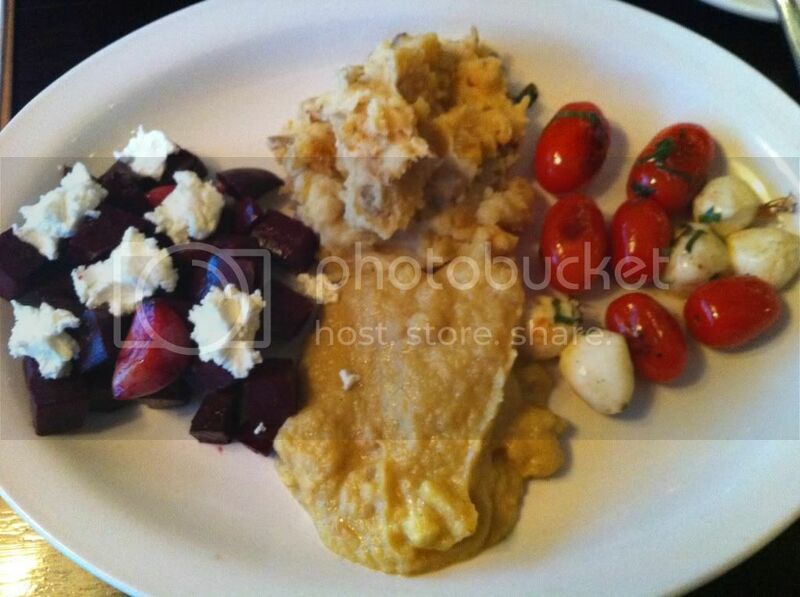 On one of my recent visits I decided to be bold and try a vegetable plate for $14. I had their Roasted Beets with Goat Cheese. The beets were roasted with garlic and the goat cheese was a great pairing. However, I found the beets lacked a bit of seasoning so I added some salt and pepper to my liking. Next up I had the Creamy Mashed Yukon Potatoes, these mashed potatoes were no joke and were great. They were perfectly seasoned and creamy; some of the best mashed potatoes I’ve had in a while. I also had their Curried Cauliflower puree, this was probably my favorite vegetable dish out of the four and it was also my first time ever having cauliflower. The curry flavor along with a kick of garlic and pepper definitely spiced up this ‘puree.’ The puree has lots of chunks of cauliflower through out to give it some bite. Lastly, I had their Blistered Grape Tomatoes. This was probably the least awe inspiring of the veggie dishes, but still very flavorful. The grape tomatoes burst in your mouth with each bite and went well with the small fresh mozzarella balls and basil. 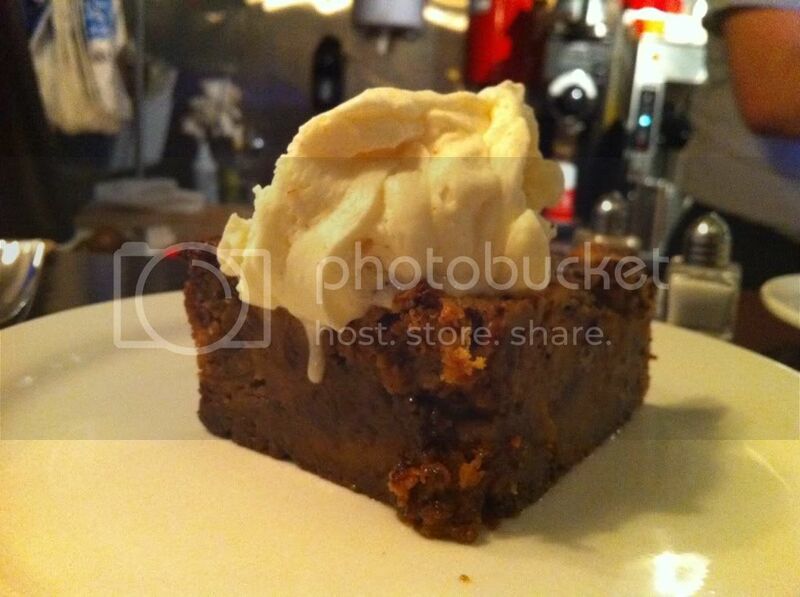 Blue Collar has only 3 desserts it currently offers, and my favorite (by far) is their Butterscotch Heath bar Bread Pudding. Hot damn is this delicious. Served nice and warm with a giant dollop of freshly whipped cream, it’ll make you think of ways to inhale the whole thing before your friends can get a bite. The flavors of butterscotch and toffee dance on your tongue like two freaks doing the stanky leg. 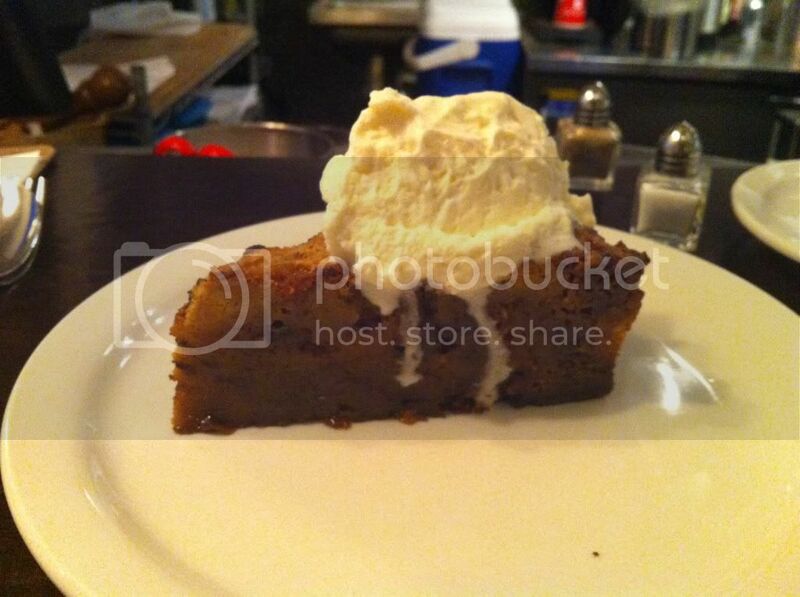 It’s definitely the dessert to get when you go to this restaurant. I mean sure you could have the rich chocolate cake or delicious berry cobbler, but what dessert is gonna stanky leg on your tongue?! Once you’re done eating your heart out, finish off your meal with some good old Panther Coffee, brewed at Blue Collar. Never heard of Panther Coffee? 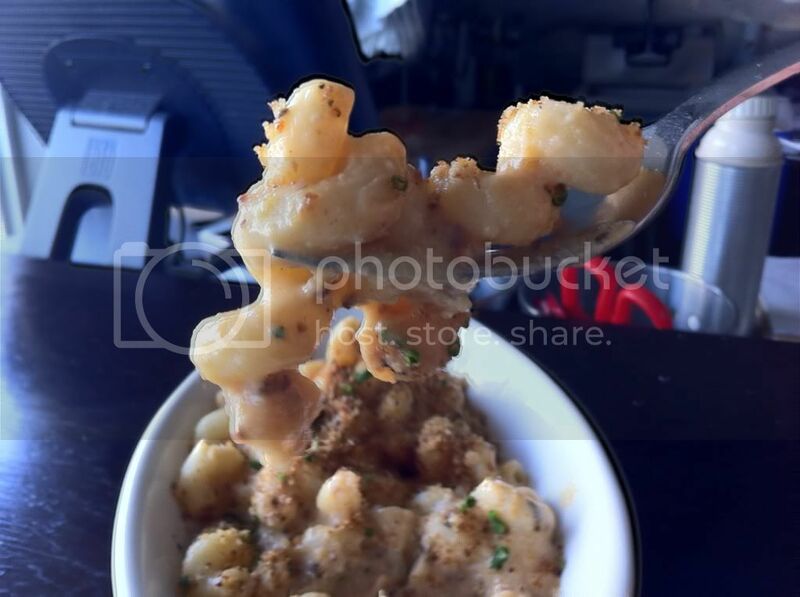 Check out my post on them http://www.fatgirlhedonist.com/2012/01/somethings-brewing-in-wynwood.html. 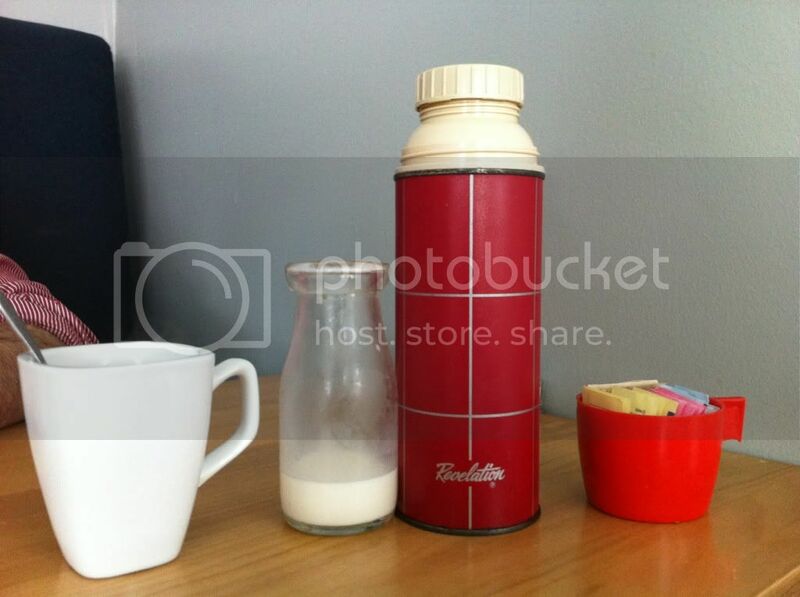 The best part, the coffee is served in an old school thermos to go along with the blue collar theme. If you can’t tell, I really enjoy this restaurant. Keep in mind the place is relatively small and tends to get packed during peak hours. They recently kicked off their brunch and I won’t go into detail, but their breakfast burrito and steak & eggs are both great and worth checking out. I will also mention, there’s only been one dish that lacked luster; on our first visit my boyfriend didn’t like their chicken parm with angel hair pasta, it was pretty under-seasoned. Either way, I encourage everyone to check this restaurant out! 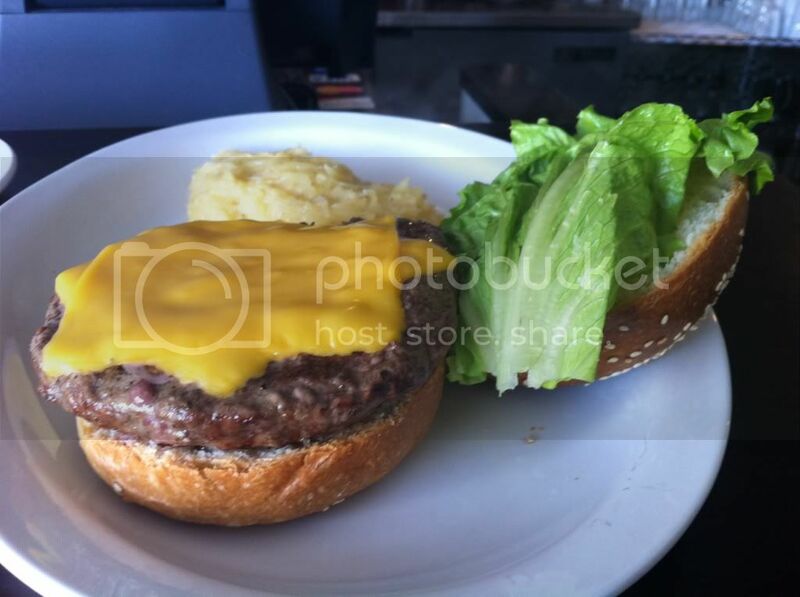 The restaurant is also very reasonably priced and most entrees are at about $15-$18 and is a very casual place. I live in the area and have been meaning to stop by Blue Collar for some time now. Thanks for the review. I will definitely drag hubby over there soon. Seriously? wow. How much is Serfer paying you to kiss the ground he walks on? You strike me as the type who grew up in Hialeah, eating arroz con frijole, bistec, picadillo, and bistec de pollo every day. On weekends, you'd order pizza or get a burger when mom hid her casuelas. When you finally grew older you started to venture out into the world and started tasting food but you'd go places and order the arroz con frijole, bistec, picadillo, and bistec de pollo. Now, you're becoming more adventurous, but you wont order the daring stuff, you'll stick to the safe stuff. I bet you go to good places and order the sandwich, too! Also, you write like if you're trying to score extra points on the FCAT and it looks like you're trying to be the female pitbull of the blogespher (you're not). Now, back to the original point of this post...This place is awful. The wait staff isn't trendy, they look like recovering drug addicts, they don't speak proper english, and the food? My god..the driest mac and cheese i've had in my life. Mac and cheese is comfort food not dry, cold, whole grain mustard disaster. Come on...quit sweating this place. people pleasing will only get you so far. When real foodies read your blog they probably laugh their asses at your lame attempts.